Save 30% – Christmas in July Sale! 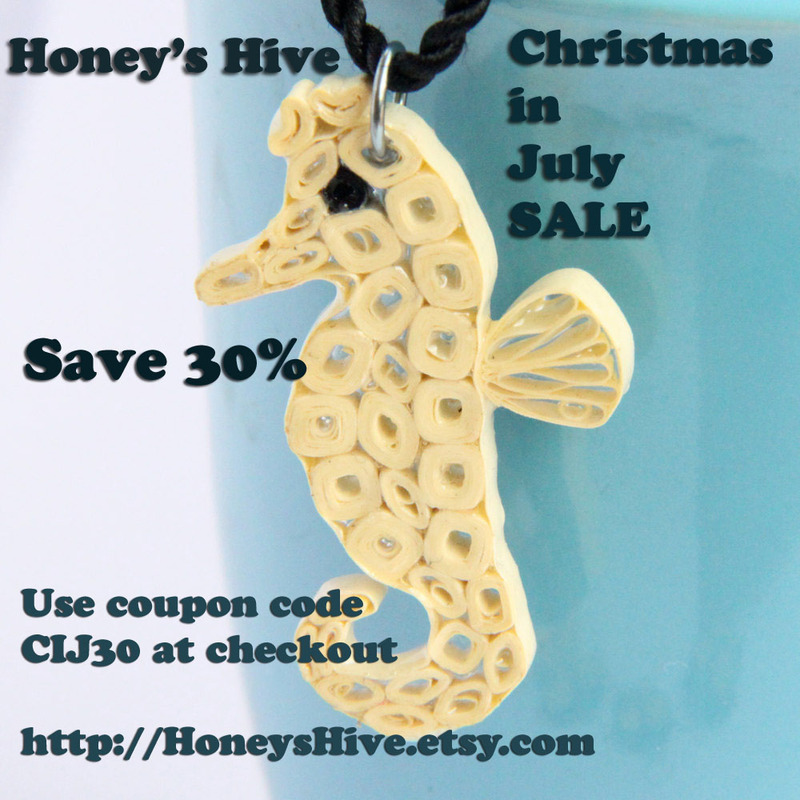 For the past 3 years I have participated in the community Christmas in July sale on Etsy. I figure it’s a good way to move some inventory mid-year, showcase some new designs, and help people get started on their holiday shopping early! 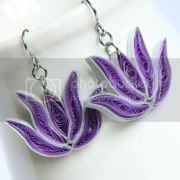 This year, as in the past two years, I am offering 30% off of all of my paper quilled jewelry. This includes earrings, pendants, and sets. Want more selection? 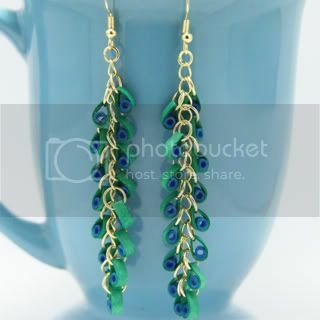 Check out my zibbet shop! The sale is on there too and includes hair clips and CLEARANCE items!! So what are you waiting for? Start shopping now on Etsy or Zibbet! 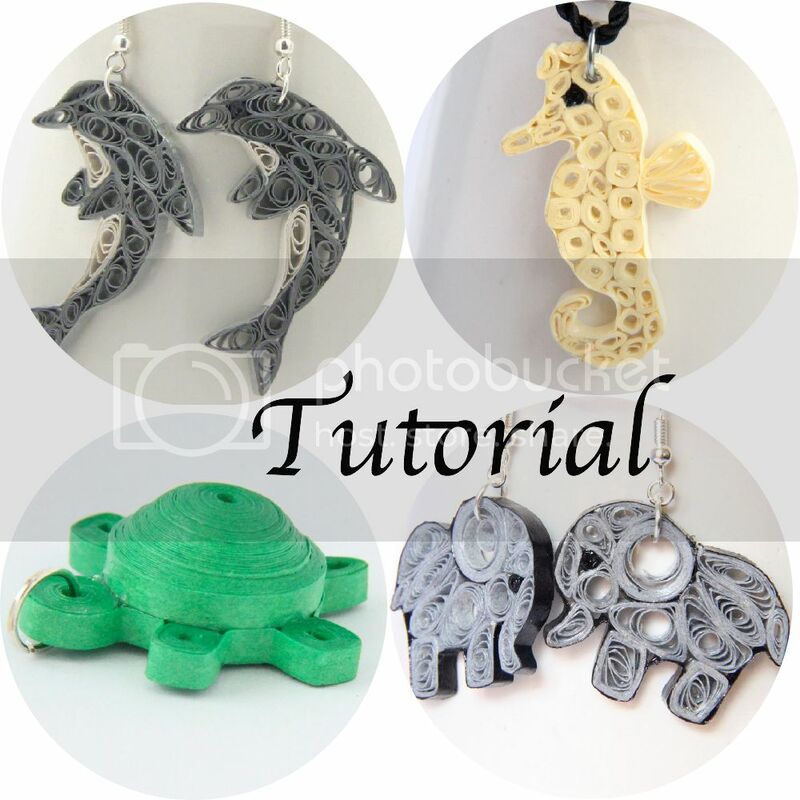 Hop on Over to the New Blog – Lots of Great Tutorials and Quilling Tips! I’ve had quite a number of new followers of this blog in the past few months. So for those new followers I wanted to let you know that I now only post at the new blog at HoneysQuilling.com. Here is a collection of just some of the many great posts that are new over on that blog in the past few months! Click on each photo to go to that post on the new blog. And then don’t forget to follow the new blog to stay tuned for all the great posts coming up! This is just a selection of some of the many more great posts from the last few months. Hop over to the new blog to view these and all of the others! I have it organized by type of post, just use the top navigation menu to get around. Happy New Year! This post is a week late, but better late than never, right? 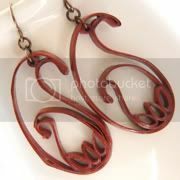 I have been busy setting up the new Honey’s Quilling blog, so this post fell down on the priority list. But I felt it was fitting to make sure to write it as one of the last posts on this blog, as I move to the new blog. New year, new blog, new goals! Make more tutorials – I accomplished this! With several free and several premium for my etsy shop as well. New jewelry designs – I accomplished this goal as well, with some new teardrop designs, and the most recent owl collection! 250 listings on etsy – I didn’t quite meet this goal. I currently have around 230. I could have managed this goal, but I had new goals that super ceded this one such as opening my new online store and new blog, so I felt comfortable with letting this one slide. 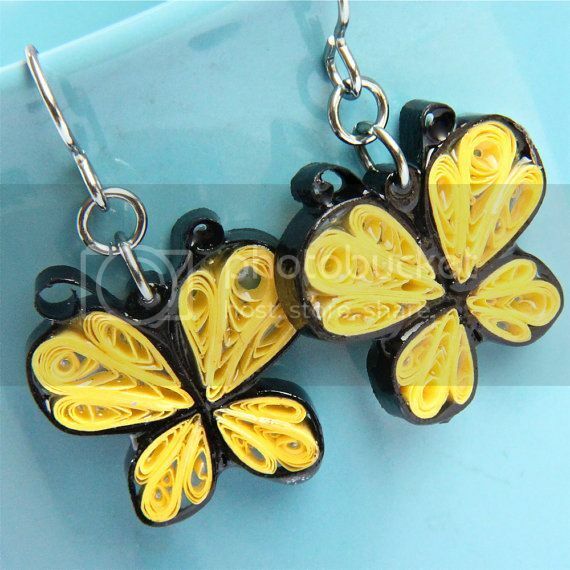 More quilling tips – I definitely shared more quilling tips this year! All in all, not bad, 3 out of 4 goals reached! The views on the blog have grown to an average of almost 1,000 a day! Yippee! I’m hoping to get the new blog up to the same average within the next couple of months. Looks like the most popular posts have to do with quilling tips – something I’ll be adding a lot of to the new blog! To get the new blog set up and looking great! I hope you come along with me to the new blog and make sure to subscribe, because there will be lots of great things coming! Thank you for a great 2013! New Blog, come on over!! Hi everyone! I have started the new blog! I’ve transferred over the important articles, and am working on the site design and some new posts. Come on over and make sure to subscribe to the new blog so you don’t miss any great posts and new tutorials!! Click here to visit the new blog. Etsy Shop Reorganizing, Clearance, Etc. As I mentioned the other day, there are a lot of changes in the making around with my shops, websites, blog, etc. Some of these changes have to do with my etsy shop. I will include all of the changes in this post! From now on all new jewelry that I make will only be available with niobium findings. I LOVE working with niobium findings for several reasons. First of all, they are excellent quality. Secondly, they are NON tarnish! In this humid climate I hate seeing that findings have oxidized/tarnished after a few years. Thirdly, they are extremely hypoallergenic! I have very sensitive ears and niobium is one of the only metals I can comfortably wear. Fourth, I find that customers never request regular plated findings if the earrings already have niobium, even if the option is given. So I’m going for all niobium for ease from now on. Lastly, this also makes it easy when I get wholesale requests if I don’t offer more than one type of finding. Because I am only going to offer niobium from now on, I am clearancing out all earrings that are instock with silver/gold/copper/brass plated findings! These will be from 30-50% off and can all be found in the clearance section. So if there is a design that you love, make sure you grab it before it’s gone! Some, like my chandelier earrings, I do not have niobium findings for, so I will not be making those again unless by special request. I’m not sure if I have ALL of the applicable jewelry in the clearance section yet, I’m working on it, but most of it is there. Shipping! Shipping has been a topic for me this year, as the Malaysian government suddenly raised international shipping charges for small packages by a LOT! I was not sure how to absorb these costs and in the end decided to charge actual shipping so that it is transparent to the buyer. After several months of this, I have recently moved to a new flat rate $5 shipping for my jewelry world wide. I have NOT added any of the shipping costs to my jewelry price. I am instead absorbing the cost from my profits as a service to my customers. 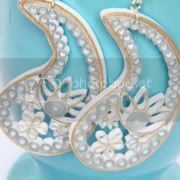 I can do this for my jewelry as I sell it at a retail price. 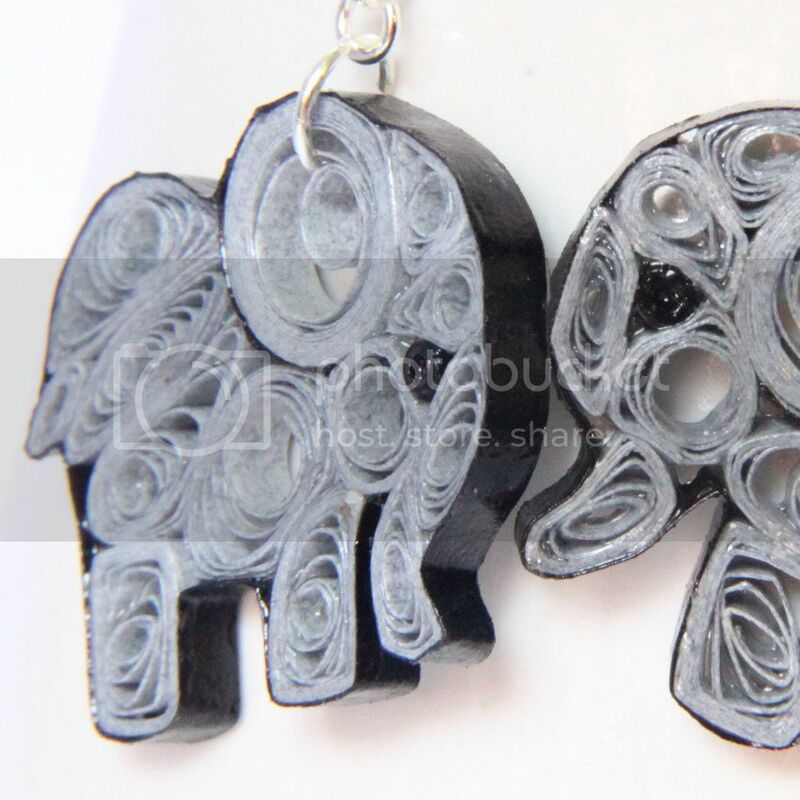 However, I can NOT do this for the quilling supplies and tools that I sell as I already have those priced as low as possible and cannot absorb the cost there. 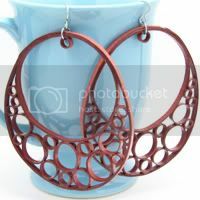 So you will see that all jewelry has $5 flat rate (except for high priced items which have FREE shipping!!) and all supplies have the current exact shipping charges. 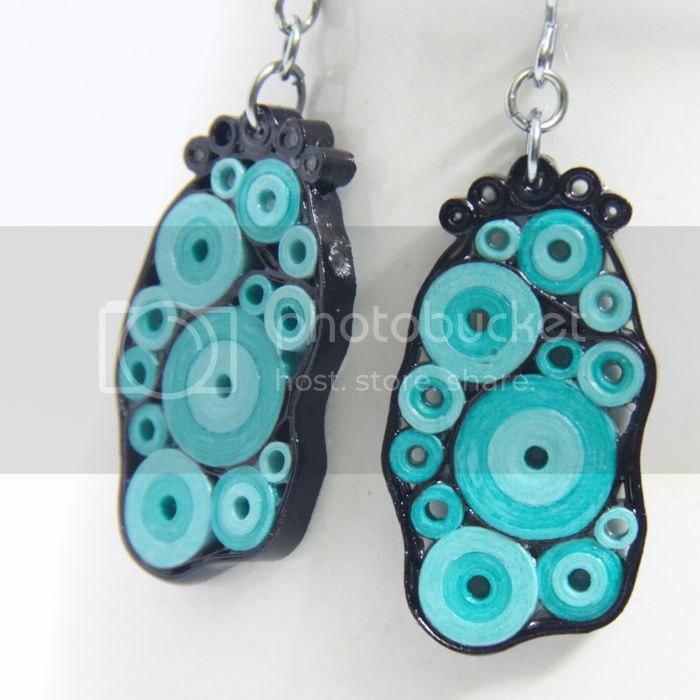 I have also opened a shop on zibbet for the same things I sell in my etsy shop. 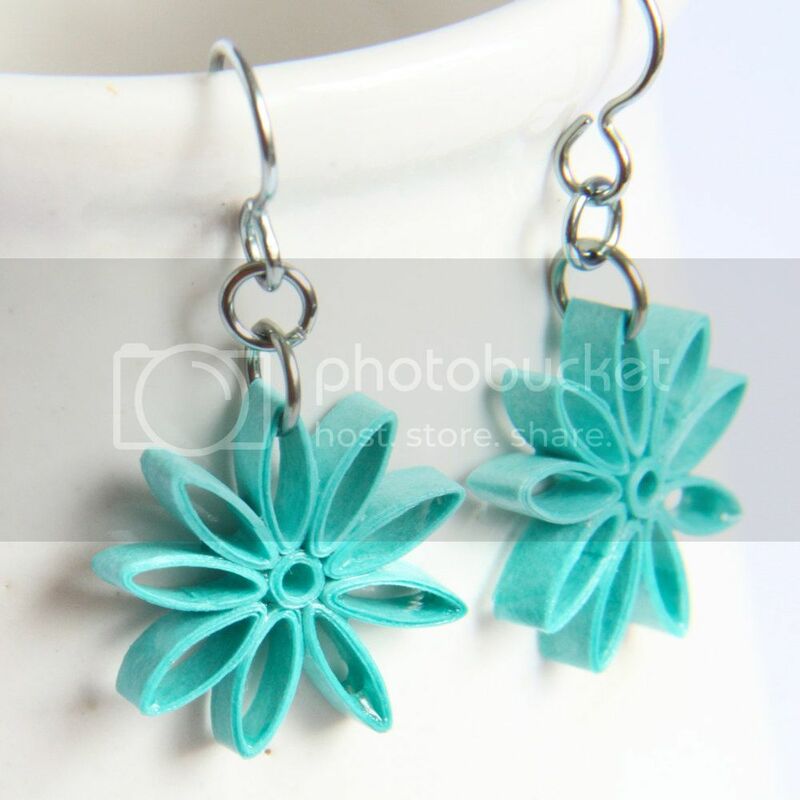 If there are items on etsy that expire from the clearance section, I will move them to zibbet until sold. 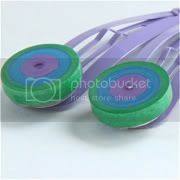 There are some other items, such as some quilling supplies, my handmade hair clips, etc. that will eventually only be available on zibbet and not on etsy. Most of my items will still be available on etsy, but zibbet will also be a main shop. Whoooo Has Seen the New Paper Quilled Owls? 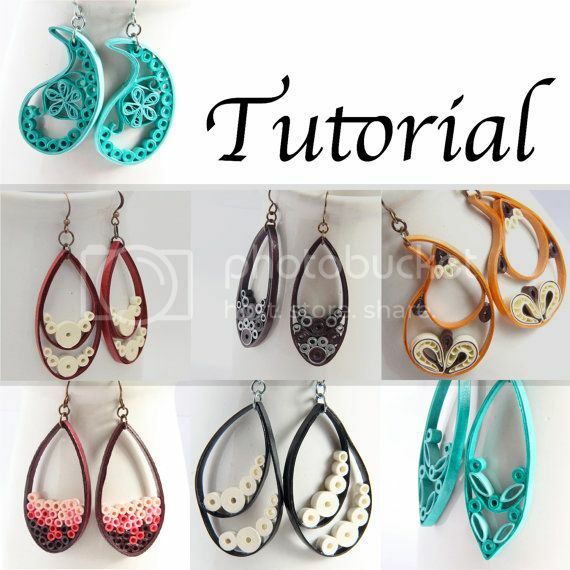 *EDIT* Make sure to visit my NEW blog and subscribe to keep updated with paper quilling tips, tricks, inspiration, and free tutorials! If you’ve been following my etsy shop or my facebook page, you will have noticed the new line of owl jewelry that I have out! I was really excited to come up with these designs. I’ve been thinking about making owl designs for at least a couple years! Since I have also been wanting to work on more tutorials, I was thrilled to also make a tutorial for these adorable designs! I debuted the jewelry a couple months ago, and finally put the finishing touches on the tutorial today. So without further ado, here is my tutorial for four different owl designs! Plus, each design comes with instructions on how to make multiple sizes! Currently is is available in my etsy shop. Soon I will also have it available on Meylah and elsewhere. There have been lots of changes going on behind the scenes here at Honey’s Quilling!! I’ll do a few posts over the next few weeks highlighting the changes. It’s all very exciting and will lead to lots more good stuff for you readers! First up, I’m moving my shop. 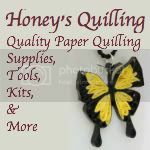 I have had an online shop for quilling supplies at http://HoneysQuilling.com for a couple years now. As I’ve learned more about ecommerce and website building, I can see where a lot of my problems are coming from. For one thing, my shop has been slow for many of my customers. There have been other glitches as well which are annoying and that I have not been able to fix. Therefore I’ve been working to create a NEW shop at http://HoneysQuillingShop.com over the past couple months. Today is has gone live! I have most of the inventory listed. I still need to do more visual things, but the basics are there. It is a lot faster and hopefully will not have the odd glitches like my old shop did. But what am I doing with HoneysQuilling.com? After I have finished the whole transfer of my shop I will be starting from scratch with that URL. 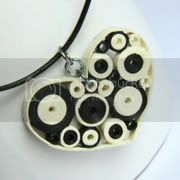 It will become my blog and a great quilling resource for everyone! With free tutorials, product reviews, tips and tricks, and more!! Basically it’ll be what this blog is, but MORE! I’m so excited to get it started and am researching wordpress frameworks to decide which would be the best for me to start with. So until all of the inventory has been switched over, both of the online shops will be active. By the end of December I should be done and HoneysQuilling.com will be starting anew! I’ll keep this blog going with announcements until the new site is ready. So hang on, folks, and pardon all of the construction dust! p.s. 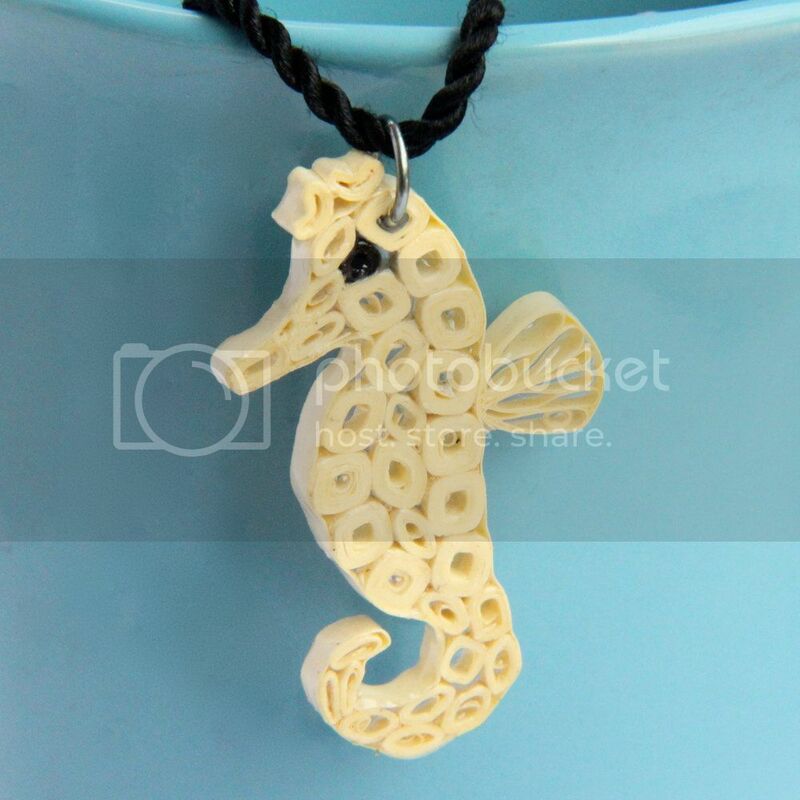 If you check out the new shop, do give me some feedback! 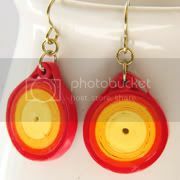 Enter your email address to follow Honey's Quilling and receive notifications of new posts by email. 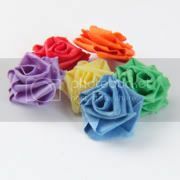 Paper Quilling Supplies now in Malaysia! 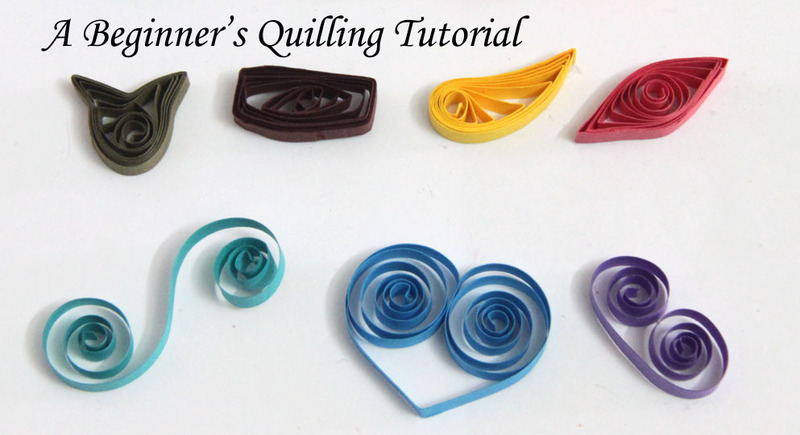 What Paper to Use for Paper Quilling - Buy or Cut Your Own? Part of the Etsy Expat team!